A while back I had an opportunity to speak to students at the Crane School of Music, SUNY Potsdam, about the business of music. It was an interesting experience. The questions were fast and furious. The energy and enthusiasm were contagious. 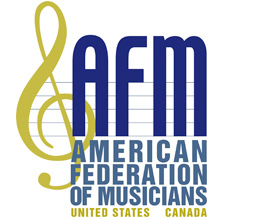 Many of the students weren’t aware of the American Federation of Musicians and the benefits of being a member of the AFM going forward into a career in music. Crossing a border to work in a foreign country can be nerve-wracking if you are not prepared. With preparation, you can ensure easy border crossing while on tour. The touring show season has begun and thus we have a 2017 traveling show update of the new productions that are premiering and starting their season. To commemorate the 40th anniversary of the death of Elvis Presley, Elvis Live in Concert a tour of Elvis performing with a live studio orchestra, was made. The Big Apple Circus band musicians return to their bandstand with an improved three-year AFM contract negotiated by Local 802 (New York City). Traveling by air? After years of negotiating, the AFM saw the implementation of standard rules regarding musical instruments on airlines. Know the rules and your rights.